Well, it’s not just that. 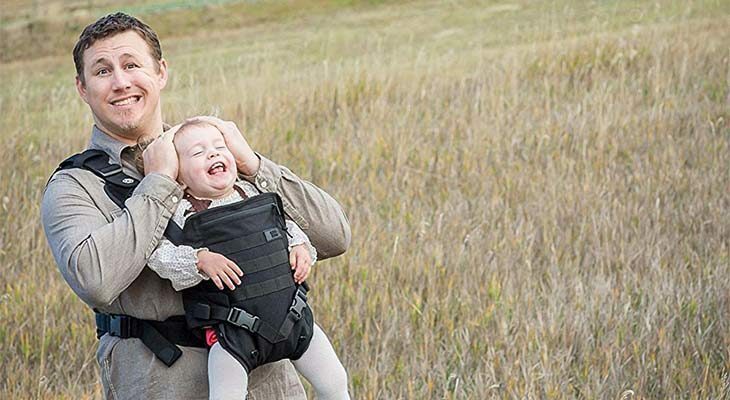 While the utilitarian and gender-neutral look of a tactical baby carrier appeals to fathers, but moms can use it as well. 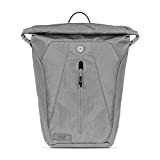 These baby carriers are usually made to be light, sturdy, practical and, most importantly, support caretaker and baby when setting out on their many adventures. Also, a tactical carrier can keep your baby safe and close to you and leave your hands free. It’s not just about a camouflage baby carrier or a camouflage diaper bag. A tactical child carrier can offer you a lot of different functions. A quality tactical carrier provides you with many different small storage spaces, a fantastic safety system for your baby, and so much more. It’s a baby travel gear that gives you hassle-free performance! From desert camouflage to stealth black and of course, understated shades of navy and battle dress green, there are so many patterns of military baby carriers for you to choose. 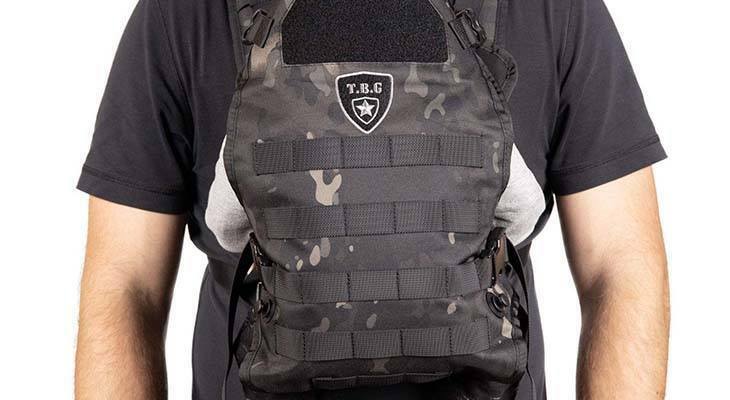 Why Should You Buy a Tactical Carrier? To clarify, Tactical Baby Gear is not a type of carrier but a brand, and it is one of the most preferred tactical carrier brands today. If you’re looking for a carrier for dad, a tactical baby carrier from this brand would be a big hit. 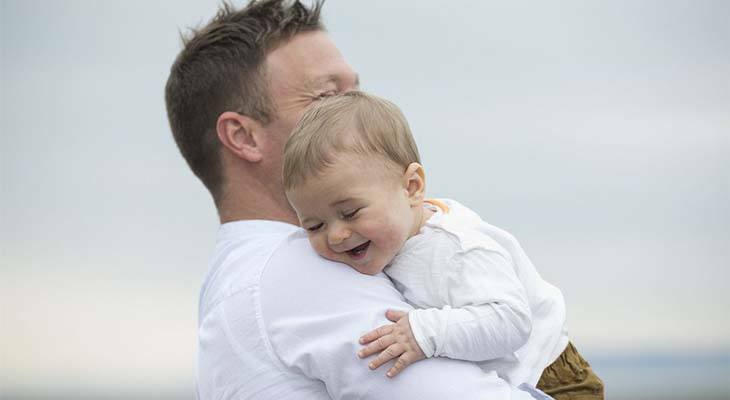 Its compact design and ruggedness make it a manly baby carrier that every dad would want to have! Plus, it’s Molle compatible and allows for multiple sitting positions. While it is only a front carry carrier, you can choose to face your baby in or out depending on his developmental stage. It features UTX buckles and has military-like efficiency that will make any practical parent swoon with delight. Tactical Baby Gear has a removable and washable liner for easy cleanups and has a Velcro front panel for your use. Their carriers are available in four colors: Coyote Brown, Black, Black Camo, and Ranger Green. NOTE: Tactical Baby Gear carriers are designed for babies weighing 8 lbs to 33 lbs only. Another excellent and well-known baby carrier brand you might want to check out is Mission Critical. 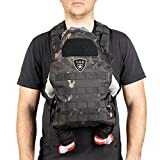 This camo baby carrier is an excellent choice for dads and all practical parents who want multiple carrying positions. You can use it as a front and rear facing carrier. It is made from 1000D nylon which is a highly durable and near indestructible fabric so you know you can take on any adventure you and your baby will go to. It features Molle webbing and a removable and washable liner that makes attaching accessories more accessible. This baby carrier also has padded and perforated foam which makes use comfortable for daddy and mommy. It can even keep you cool. The Mission Critical carrier also has a built-in sun shield for better sun protection for your baby. It is available in three colors: Black, Coyote, and Gray. NOTE: Mission Critical carriers are designed for babies weighing 8 lbs to 33 lbs only. When you have a child in tow, there are a lot of different bits and bobs you need to bring with you when you go out. Usually, necessities like extra diapers, baby bottles, wipes, and etcetera will need their own bag. A backpack helps you keeps your hands free even with all the different baby things you have to lug around. But baby backpacks can seem so cute and unmanly. Good thing tactical baby backpacks are now a thing in the market! 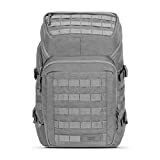 The Tactical Baby Gear Daypack 3.0 is an excellent choice for the ever-practical parent. It has a very spacious main compartment where you can store all of your little one’s daily essentials like diapers and bottles. It also has two exterior pockets that can fit you and your baby’s bottles for easy access. Plus, the three-tiered interior has many pockets for all your little baby things. This backpack even has a built-in changing mat, so you don’t need to worry about forgetting yours when the need arises. It also takes into account your comfort and features body contoured shoulder straps and closed-cell foam padding. The Daypack 3.0 is available in four colors: Black, Black Camo, Coyote Brown, and Ranger Green. 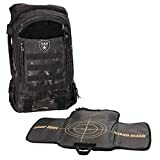 Another excellent and well-known tactical backpack you might want to check out is Mission Critical. The great thing about Mission Critical is that it has four different designs when it comes to their baby backpacks. 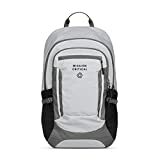 You can choose which look you want the best, or determine which type of backpack works best for you and your baby’s needs. If you make an effort to look around, there are many camouflage diaper bags in the market. But your best choice would still be a tactical diaper bag from these brands. They are handy, nicely design and most important very functional. 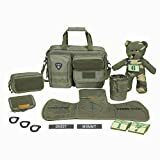 Aside from backpacks and baby carriers, Tactical Baby Gear also produces diaper bags. Made from 600D materials, these bags are highly durable and water repellant. It features a huge main compartment that has three spacious built-in front pockets. It is also created with YKK zippers and has a Molle webbing for easy attaching of accessories. This diaper bag also uses a modular system designed to fit you and your baby’s needs better. It also has a detachable, padded shoulder strap that will keep you comfortable when in use. This diaper bag has exterior Velcro fields for patches. 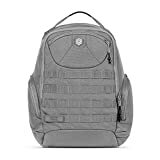 Like their backpacks, Mission Critical allows you to choose between two different designs depending on your needs or preferences. There’s an easy answer to that question, and the fact that you’re reading this article means you probably have a good idea already. The answer is that you have a baby to take care of, but you still want to be able to do your work at the same time. A tactical baby carrier allows you to hold your baby while keeping your hands free for your other activities. It’s like hitting two birds with one stone. You get to be close to your baby, and you can get your work done. Now, there are many types of carriers in the market. There are also many kinds of tactical carriers out there. To help you choose the best carrier for you, you should probably know a few technical terms being thrown about in the industry. A MOLLE baby carrier refers to the design of the tactical carrier. MOLLE is an acronym that stands for Modular Lightweight Load-carrying Equipment which is a type of storage equipment used by NATO armed forces. Whereas a MultiCam baby carrier refers to the pattern used in the carrier’s fabric. MultiCam is the camouflage pattern made by Crye Precision that is used to help hide the wearer in environments and condition. Both are tactical baby carriers that offer great support and use for dads all over the world. Like what was stated above, there are different kinds of carriers you can choose depending on your needs and preferences. A military baby carrier merges the innovative features of modern carriers with the functionality of a military-grade backpack. This type of carrier is durable and versatile, making it a great choice for parents who love going on hikes and outdoor adventures. For daddy, it’s also an excellent option if you’re looking for a decidedly masculine-looking baby carrier. Most military carriers come in varying shades of camo prints, from desert sand to black. Most military carriers offer you multiple sitting positions but not all do. So make sure that you’re using the carrier correctly and that your baby is securely strapped in. Most will think that tactical baby carriers are just the same as military carriers, and with good reason. Both types of carriers have the same features. However, a tactical carrier looks more urban and gender-neutral. It doesn’t usually have military-inspired features as well. 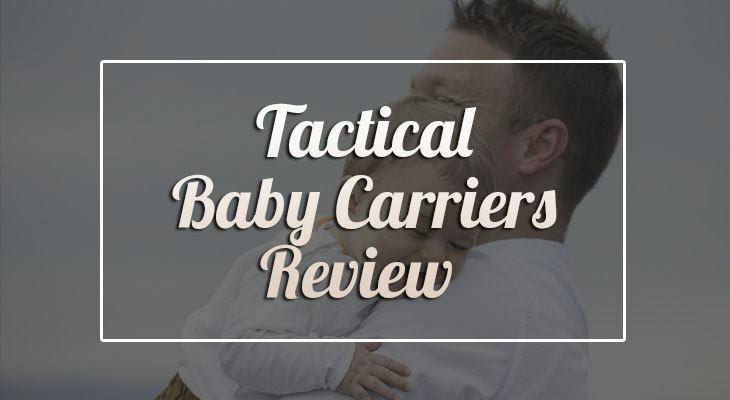 A tactical carrier is also versatile and includes a range of sitting options for your baby. It offers a broader range of movement and adaptability that allows the carrier to grow with your baby. If you’re looking for a less rugged looking carrier for everyday use, then tactical carriers may be a better choice than the military ones. If you’re a dad who prefers functionality over aesthetic, then an ergonomic baby carrier is the way to go. Most ergonomic carriers feature 3D mesh linings that provide comfort to both you and your baby. It also has multiple compartments for your baby’s immediate needs. Another great thing about ergonomic carriers is that recent ones can also grow with your baby so it can prove to be a good investment. But the best feature of this type of carrier is the lumbar support it provides. You can carry your baby more comfortably for longer because of the innovative waist belts these carriers have. Waist belts distribute the weight onto your shoulders and hips. Ergonomic carriers are great for leisurely walks and for activities that need your hands to be totally free. Now that you know some of the types of baby carriers out there, the next thing to learn is how to actually pick the best carrier for you. Like in all baby products, you would want to ensure that all materials used in the carrier are safe for baby use. Make sure that your child, especially if he’s a newborn, would not be exposed to chemical dyes and toxic ingredients. Believe it or not, some carriers carrying these harmful materials are still manufactured. The easy way to check? Look for a carrier’s American or European Safety Standard certifications. Adjustability isn’t a necessary feature but having an adjustable carrier can be beneficial for you. For one, they’re a good investment. Adjustable carriers can grow with your baby, so he can use these kinds of carriers for longer as his developmental stages come and go. Second is that you can switch up carrying positions when you get tired. Different carrying positions distribute the weight differently after all. It’s a good idea to get a baby carrier that can provide you with better posture or at the very least, not worsen it. The modern innovations in baby carrier production have given rise to ergonomic fit carriers that feature contoured straps and padded waist belts for better performance and more comfortable use. Of course, you would want to re-use your baby carrier. And you would want to make sure that it’s clean when your baby uses it again and again. For practicality’s sake, make sure you get a baby carrier that is machine washable. It makes for easier cleanup when your baby has an accident (and we know how often that might occur). It’s best to wash your carriers with detergents that are deemed safe for your baby. Not many people look into the style of a baby carrier. But let’s face it. Everybody has their own preferences. There’s a massive chance that you’re a dad who wants the baby carrier you’re going to use to look gender-neutral, at least. You might be someone who hopes that the baby carrier looks smart rather than casual. So make sure to check out how it looks before buying. These points may seem obvious to you, but it’s safer to reiterate the importance of making sure that these safety points are met when using a tactical baby carrier. Make sure that all rings and buckles are well-adjusted and fixed. If it’s a front carrier, use it as such and so on. Keep in mind the weight limits of the baby carrier, and follow it. Make sure that nothing obstructs your baby’s face. A tactical baby carrier and types of carriers mentioned above are only a few of those available in the market today. There are many more to choose from, depending on the design, the brand, or the function you need. It’s best to discover and learn about all your options before buying a baby carrier so that you get the best deal you can. Want to discover more baby carriers? Check out this Best Tula Carrier article and you might just find what you’re looking for!